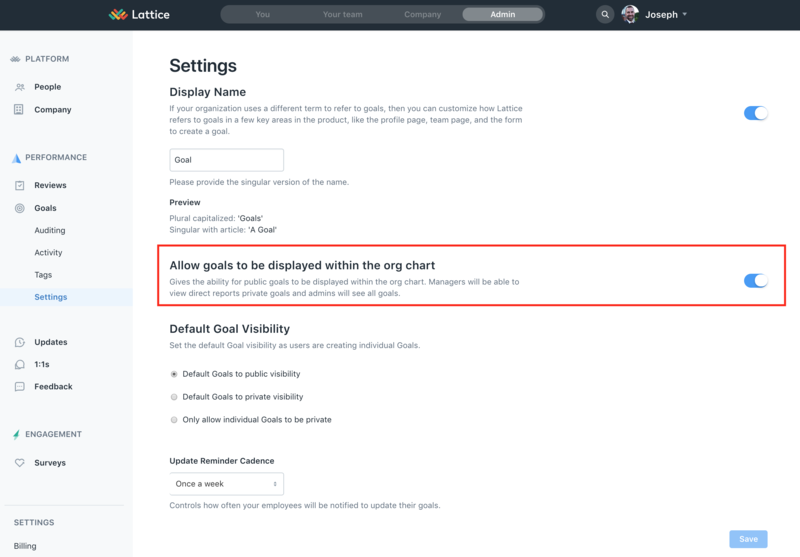 You can allow your company to see public Goals in the Org Chart in the Goals Settings page! After you turn on the “Goals in the Org chart” setting, when you are viewing the org chart, you will click the “Show All Goals” button in the top right corner of the screen. When this is turned on, employees' top three active goals by priority will be displayed in the org chart. If an employee’s goals do not have a priority the first three active goals that the employee created will be shown. 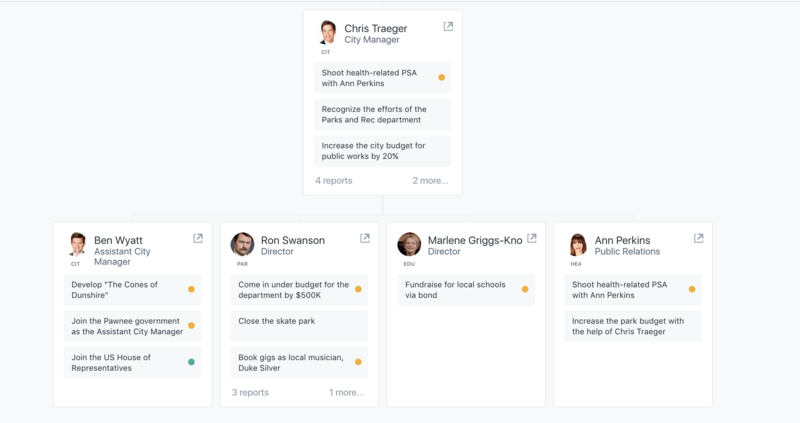 Managers will be able to view direct reports private goals (Top down visibility is enabled as well, meaning managers of managers will be able to see their indirect reports' goals).